As women leaders in our organizations and our communities, it is essential that we bring our whole selves to all that we do. That's why we are so excited to kickoff our new program year with Celeste Cuffie, CEO and founder of Life Empowered. 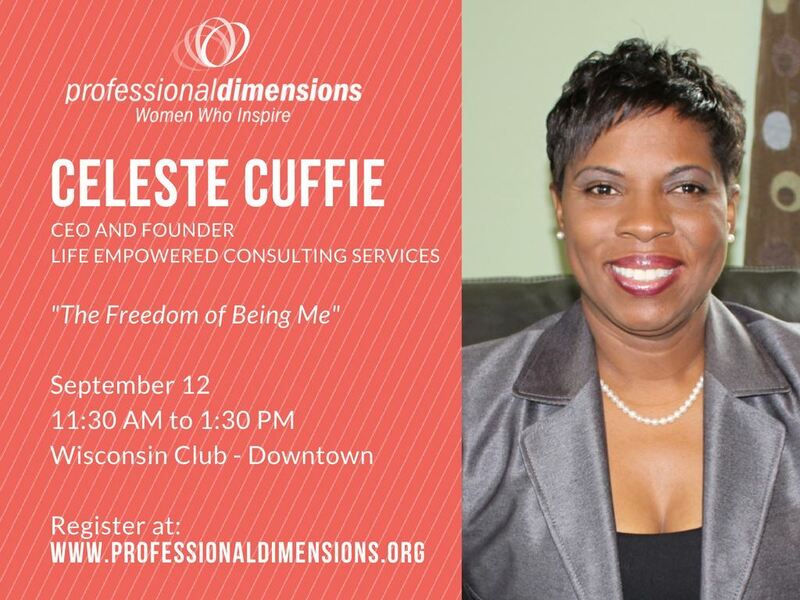 Celeste will offer action steps to help us focus on purpose and authenticity as leaders and professionals. She will also teach us how we can be resilient in stressful situations, learning to be bothered but not bound by the circumstances we encounter. Celeste has been a business owner for six years and focuses on training, consulting and speaking in pursuit of helping people and corporations reach their full potential. Earlier in her career, Celeste held several leadership roles in banking and information technology for organizations such as Continental Savings Bank Associated Bank, and Johnson Controls. In addition to being CEO of Life Empowered, Celeste has written four books, teaches at Concordia University and is a wife and mom to two amazing kids.